Buying a home is a serious process. There are many steps involved, but the most important is choosing an experienced, professional real estate agent to assist you in your home buying needs. That’s why you want the one with a Household name . . . Debbie Gerber. It’s Free!!! When you buy through me, there is no upfront fee. I earn my commission through a pre-negotiated commission split between the seller and the seller’s agent. No endless shopping. I do the home searching through MLS, newspaper ads, “For Sale” signs and through the contact I have with area agents. You save Money! With my negotiating expertise and knowledge of the market, you’ll never pay too much for your dream home. I’ll provide you with all the vital information to make a solid decision and choice. Personalized service. All clients are pre-qualified to ensure that they can comfortably afford the home they want. Not only that, you receive personal, presidential and star quality attention until the home is contracted for and closed. Counseling skills. When you’re with me, I will always listen and direct you to the right neighborhood, financial institution or any real estate related professional that you may require. You will know and feel this as soon as we meet. Researching sources. You’re so lucky! With my years of experience in the real estate industry and the respect that I feel I have among real estate professionals in the area, I am able to tap into properties even before they come on the market. I can show you all the homes that meet your criteria, not just my own listings, like many other agents do. CMA Prowess. I can save you money by providing a CMA (Comparable Market Analysis) which indicates what comparable properties have sold for in the area of your dream home. In this way, you can determine the best price to offer for the property you have chosen. Condition of the property. You will avoid disappointments and so-called hidden conditions from sellers because I am able to obtain all property disclosures from the property owners. Costs to buy? I can help you save money at the closing because I calculate the purchase costs with the help of financial experts upfront. This way, there are no last minute surprises. Home Inspections. I monitor and coordinate all such inspections done on the property before purchasing and prior to closing. And, I assist my clients in the inspection addendum process to ensure that seller warranted items are covered appropriately and fairly. Expert real estate consumer services. 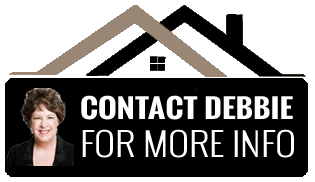 To enable home buyers excellent closing services, I can, because of my years in the business, direct you to reliable lenders, title companies, home inspection services, pest control companies and even repairmen to ensure that all your needs are satisfied before, during and after the actual home purchase. Final walk-through. I encourage, and attend with you, a final look at the property prior to closing, so you are satisfied with the details of the purchase. Closing statements. In an effort to fully understand the closing documents, I try to receive, distribute and explain all of the monetary details to my buyer prior to closing so there is not a misunderstanding before final papers are signed. Satisfaction. You will soon be another satisfied homeowner who found the right one! I salute and congratulate you!! You put your trust in me like many other happy clients and I promise to . . . Follow-up. I will not forget you and will always be available for further consultations. Our relationship does not stop with the sale.